This Crazy Odd One Out Crossword Picture Puzzle is for kids. 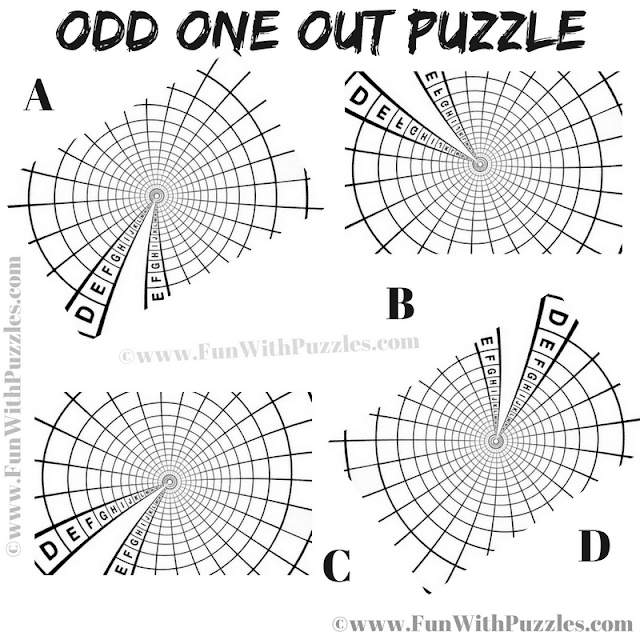 In this Crazy Picture Puzzle, there are four images of round crossword. Three of these given images are exactly same, but one image is different. Can you find which is Odd One Out? 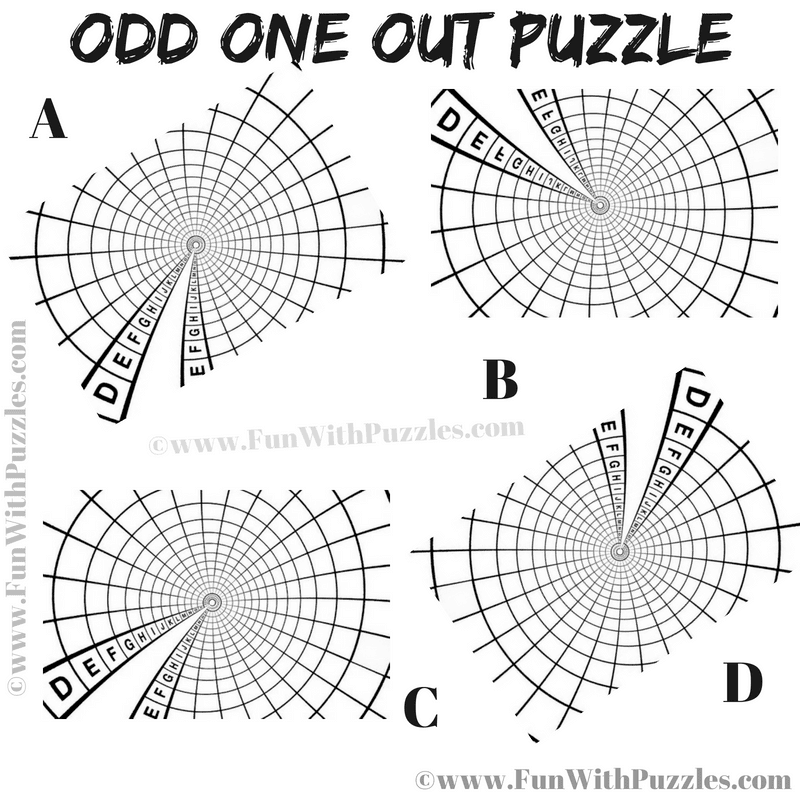 Answer of this "Crazy Odd One Out Crossword Picture Puzzle", can be viewed by clicking on button. Please do give your best try before looking at the answer. The Answer is B. The picture is mirror image of other three pictures.